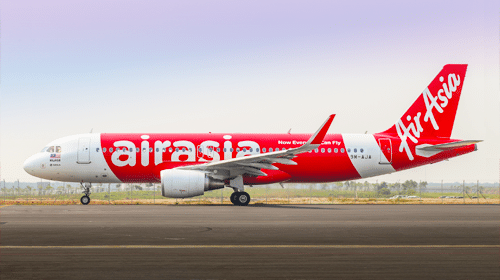 AirAsia’s confirmation last week that it intends to use Lombok as its newest hub and commence direct flights to Australia will be a huge boost to the local tourism industry. Most hotel and hospitality operators in Lombok will tell you that 2014 (when Jetstar briefly offered direct services to Perth) was a record year for both revenues and occupancy rates. AirAsia plan to use Lombok as a hub, rather than just a destination (with support from the Indonesian tourism ministry) making the international and domestic routes they plan to offer much more sustainable than previous efforts, not forgetting how far Lombok’s tourism industry has come in the last 5 years. Using Lombok as a hub also starts the thought process of what routes they will look to next? We think Hong Kong should be the next priority with a steady stream of high end tourists already regularly visiting from Hong Kong even though they must connect through Jakarta, Bali or AirAsia’s main hub in Kuala Lumpur. The East Coast of Australia must also be a contender with roughly a million Australians still visiting Bali every year serviced by over 180 flights per week. Only a small fraction of that traffic would make a route from Sydney, Melbourne (AVV) or the Gold Coast work. All of these destinations and airports are already serviced by AirAsia. The upshot of this news is more tourists means more revenue for villa owners and with prices here still affordable (a fraction of the price of neighbouring Bali) and the villa market undersupplied, the yields those owners will receive in 2019 should be spectacular. In the chicken or the egg game of what comes first, the accommodation or the flights, it is looking like it’s the flights that will come first. If you are looking to benefit from the returns of a real estate market with an under supply of holiday accommodation please have a browse through our current listings or contact Tom to discuss further. And if you are just looking for an awesome holiday we look forward to welcoming you to Lombok this year.